When I started raising my first flock of chickens, I would sometimes start a conversation with something like, “So sorry I’m late! I had to chase a chicken.” It was always true, of course, but it was a great conversation starter about my favorite hobby. Now that I’m more seasoned, I’ve noticed a pattern when I find myself talking chicken with non-chicken keepers. People just don’t know much about where food comes from, and they’re unknowledgeable about the same things. Because we chicken keepers love talking about our chickens, we have the opportunity to teach them. Here are six things everyone should know about chickens, but don’t. 1. Hens do not need a rooster to lay eggs. 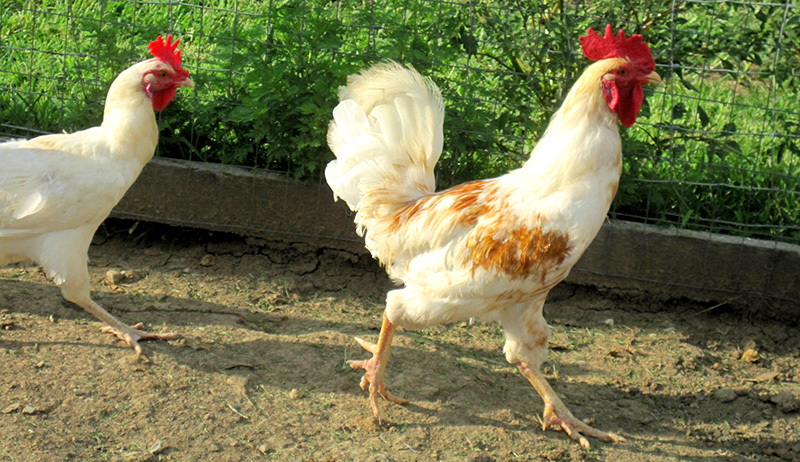 With or without a rooster, a female chicken will begin to ovulate when she reaches sexual maturity. Despite its size, the chicken egg is a single cell just like a human egg. The absence of a rooster won’t halt a hen’s biological programming to be ready to reproduce at a certain age. Females produce eggs; whether chicken or human, we just can’t help it. 2. White eggs and brown eggs are nutritionally identical. Somehow, when the white egg became standard and cheap, the brown egg crept onto the scene as health food, but the only thing that makes some eggs nutritionally superior to others is the diet of the hens that laid them. Yesterday, someone asked me why brown eggs are so much more expensive than white eggs. I told her that white and brown eggs are marketed differently. White eggs found in grocery stores are laid by factory-farmed hens at a very minimal cost, and brown eggs happen to be marketed in a variety of ways that appear healthier. A higher-quality diet and improved living conditions are two reasons for the increased cost of brown eggs. Buzz words like ‘cage free’ and ‘vegetarian fed’ and pastoral images of sunny, green farms can encourage consumers to spend more, without any proof of improved living conditions of the hens. Eggs from hens raised on pasture will beg the highest price because a farmer takes care to move the chickens and maintain a diverse and nutritious pasture. Egg color depends only on the breeds the farmer chooses to raise, which is not indicative of the health value of the eggs. Ultimately, a farmer’s labor drives the cost of the eggs. 3. Eggs come in more colors than just white and brown. Because of genetic variations between breeds, similar to the genetic variations that assign human eye color, chickens produce a rainbow of colors that can’t be found in a grocery store. Some breeds lay blue, green, pink, and even chocolate-brown eggs. These, too, are all nutritionally identical. 4. Chickens are not dirty. 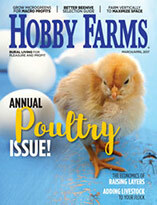 Maybe you’ve experienced someone scoffing at your chicken-keeping hobby because it’s ‘gross.’ I certainly have. Chickens might like to dig through the dirt, but they’re not inherently filthy animals. Livestock gets a bad rap for being smelly and unclean, at least by city-dwellers who have never met them. Common-sense cleaning practices keep chickens and their living quarters free from offensive odors and disease. 5. Some chicken breeds are endangered. Breeds once prized for meat and egg production have fallen out of favor due to the development of meatier and more prolific laying breeds over time. Because of our modern daily egg expectations, vintage breeds that still have value are now in danger of extinction. 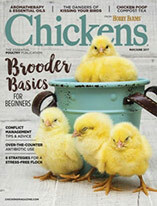 Chicken keepers love raising a menagerie of breeds, whether for beauty, oddity or egg color. Many endangered breeds lay fewer eggs or produce less meat, but many of these chickens lay on a more natural schedule that reduces ovarian cancer rates, and they have more flavorful meat. 6. Vegetarian-fed hens are a myth. Chickens are omnivores, and they will eat almost anything. The feed might be vegetarian, but a flock will eat live bugs, dead mice, and even its injured or dead flock-mates under certain conditions. 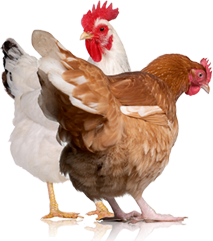 For vegetarians who don’t eat meat (or eggs from chickens that eat meat), know that chickens that can’t eat bugs are raised in small cages, and hens raised with access to the outdoors are not vegetarians. For vegetarianism that values animal welfare first, consider that a happy, omnivorous chicken makes healthier food than a chicken starved of its natural habits. Readers, what do you think surprises people most about keeping chickens?